Get The Chance is a social enterprise based in South Wales, working to create opportunities for a diverse range of people to experience and respond to sport, arts, culture and live events. Get The Chance uses its online magazine website as a platform to showcase its activity. The website content will feature workshop activity and outcomes, reviews, editorial features and much more. Our website is a platform for our members to share, discuss and evaluate their personal responses with their networks and the wider world. Get the Chance is the host organisation for members of Young Critics Wales, Community Critics Wales and 3rd Act Critics to host their activity and feedback. Connolly said those words still haunted him to this day. We share many of the thoughts regarding a critical response to the arts as playwright Shelagh Delaney in this interview by ITN from 1959. Aim to give a critical response as soon as possible after the event. Not bring the practice into disrepute. The critic should give full consideration and attention to all elements of a production. South Wales based social enterprise Get the Chance have been announced as runners up in the Celebrating Diversity Award at the national 2017 Epic Awards organised by Voluntary Arts. The ceremony took place on Sunday the 19th March at the Sage Gateshead as part of BBC Radio 3’s Free Thinking Festival. 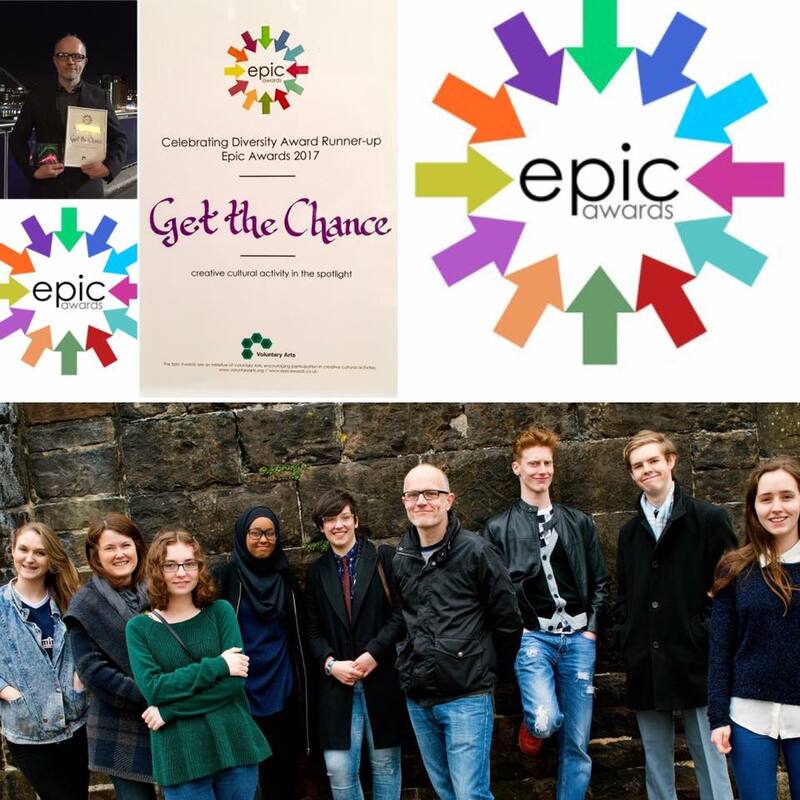 The Epic Awards were set up in 2010 by Voluntary Arts, an organisation that works across the UK and Republic of Ireland to promote participation in creative cultural activities. They celebrate the amazing contribution voluntary-led creative groups make to their communities. Membership of Get the Chance is free and all of its members are volunteers. Get the Chance is part of the Spice Time Credits Network. All members receive Time Credits for their work. Menter gymdeithasol yn ne Cymru yw ‘Get The Chance’. Daethom yn ail yn y Wobr Dathlu Amrywiaeth oedd yn rhan o Wobrau Epic Cenedlaethol 2017 a drefnwyd gan y Celfyddydau Gwirfoddol. Cynhaliwyd y seremoni ar ddydd Sul y 19eg o Fawrth yn y Sage Gateshead fel rhan o ŵyl Free Thinking BBC Radio 3. Cafodd y Gwobrau Epic eu sefydlu yn 2010 gan y Celfyddydau Gwirfoddol, sefydliad sy’n gweithio ar draws y DU a Gweriniaeth Iwerddon i annog pobl i gymryd rhan mewn gweithgareddau diwylliannol creadigol. Mae’r gwobrau yn dathlu cyfraniad anhygoel grwpiau creadigol, gwirfoddol i’w cymunedau. Mae modd ymuno gyda ‘Get The Chance’ am ddim ac mae pob un o’u haelodau yn wirfoddolwyr. Mae ‘Get The Chance’ yn rhan o rwydwaith Time Spice Credit. Mae pob aelod yn derbyn Credydau Amser ar gyfer eu gwaith. Am fanylion pellach cysylltwch â Guy O’Donnell, Cyfarwyddwr ‘Get The Chance’. An article on the event from The Penarth Times, newspaper. association with Voluntary Arts, exploring both organisations’ joint initiative ourculturalcommons.org which sets out to explore new ways to sustain and develop the creative lives of our communities in all their diversity. Guy spoke at “Development Forum 4: Digital Development: A session looking at practical applications of social media, chaired by Lucia Masundire (chair of ADUK’s Communications & Marketing WP) and considering ways that social media is used as a tool for coming together through Our Cultural Commons. Young Critics Wales began when National Theatre Wales performed Love Steals Us From Loneliness by Gary Owen in Hobos nightclub in Bridgend. Project Coordinator Guy O’Donnell was employed by BCBC at the time as an Art Officer and worked with NTW and the young people of Bridgend to support them to respond to the play. Below is a short digital story from Catherine Paskell giving some background on this process. Our members we asked to present at the National Rural Touring Forum and Night Out Wales Annual Conference 2011. Our presentation areas was; Extending the Reach: Working with Young People. Guy O’Donnell: Bridgend County Borough Council & Chelsey Gillard & Rachel Williams: Bridgend Young Critics aims to develop and showcase the voices of young people, encouraging them to think critically about the theatrical or musical productions they have seen. 3rd Act Critics is an independent organisation available to people aged 50+. 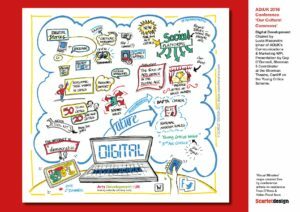 Through expert guidance, members are able to explore the role of the arts critic, and discover different ways to respond to arts, culture and sport, including Face book, Vimeo and Twitter. 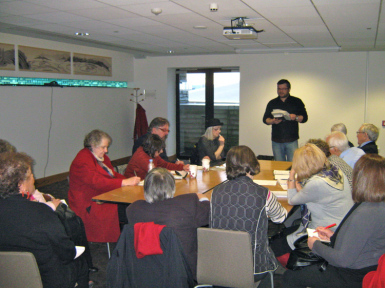 3rd Act Critics was initially funded through the Age Cymru Gwanwyn project. The Workshop took place at The Wales Millennium Centre who very kindly gave us the space in kind to support the project. Since October 2011, 3rd Act Critics has worked very successfully in partnership with a range of venues and companies including Age Cymru, National Theatre Wales, Sherman Cymru, National Dance Company Wales, Literature Wales, Wales Millennium Centre, WNO, Theatre na Nog, Earthfall, Arts Council Wales, Night Out and Theatre Wales website. Throughout the year, 3rd Act Critics are encouraged to write a number of reviews.